Toot Hill School was lucky enough to host YA author and Everest explorer Matt Dickinson. Matt has worked as a filmmaker and photographer for National Geographic, been a journalist for the Telegraph and published several YA novels! 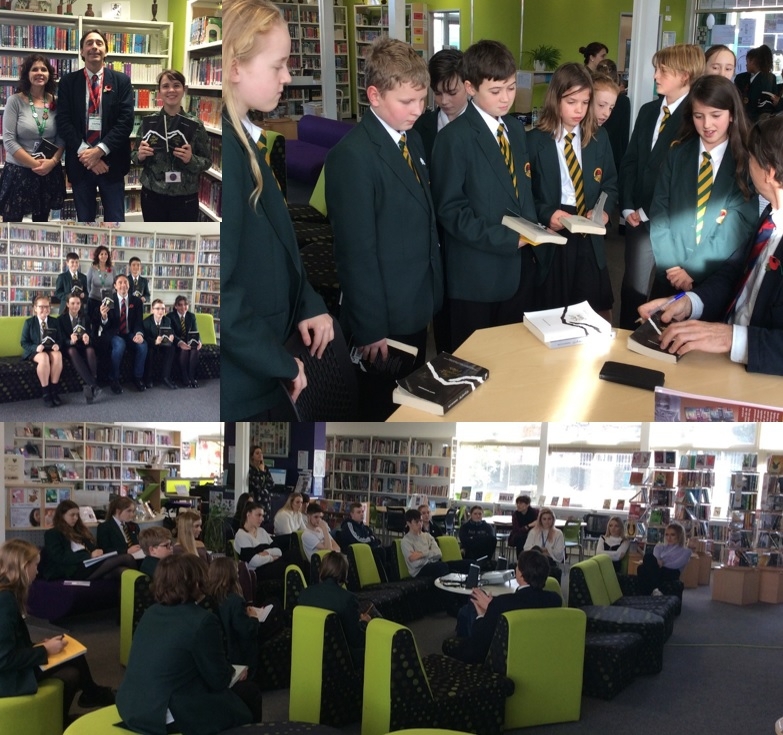 At the beginning of this academic year the Learning Lounge gifted a copy of Matt's book 'The Everest Files' to every Year 7 pupil. Today, the students were addressed in an assembly where Matt spoke to them about his experiences climbing Everest. His favourite stories were: one about his fingers getting frost bite, Toffee Crisps exploding in his ruck sack and a man carrying a quarter of a million dollars in his rucksack during the ascent! After he conducted a workshop with thirty lucky students where he asked them what they would miss if they decided to climb Mount Everest. He gave them great advice; the best stories are those that utilize the senses and contain a story within a story. College were then treated to a media talk. During this Matt showed them footage he had taken during his climb with the British Army and shared his experiences of the media industry and how to best approach it. Finally, Matt signed lots and lots and lots of books before participating in a Q&A podcast with Ms Marris and Miss Jones. If you want to learn more about Matt Dickinson please listen to our podcast !